Apostilled Florida Certificates for England, Australia, Canada, South Africa, Ireland, or any country with membership in the Hague Convention. The Apostille certifies the authenticity of the signature on corporation documents. If your Florida company has business owners who do not live in the United States, the Florida Limited Liability Company may be a suitable company as it does not require members to be US citizens. Ordering a Limited Liability Company is easy from IncSmart.biz. If you are an attorney, CPA or Real Estate agent, a Professional Limited Liability Company will be better for you. Our CPA told us it was time to create an LLC for our company. He told us to hire IncSmart to do the filing for us. IncSmart was great. Everything went according to plan. We had our new company in a few days. Florida is very fast. IncSmart had our filed articles back to us in two days. We also used the Florida Registered Agent service for $49. We are still waiting for the kit to be delivered. We just received our Florida Articles by email. How fantastic. It's done. Just a few days time. 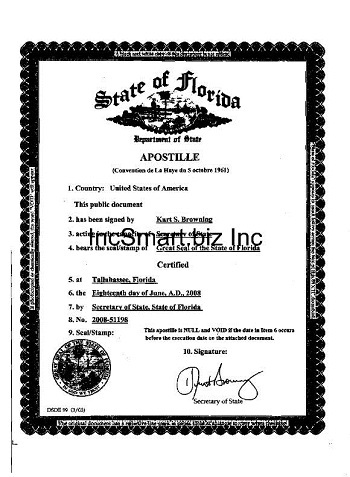 We found IncSmart on Google, ordered our LLC and Florida Registered agent and two days later our new company is formed and in our email You cant beat this. Great services. Honest IncSmart. They tell you what they are doing and what the costs are. No one else does this. They charge $49 plus the state fees... that's it. The $49 for the Registered Agent fees also. Everything is $49. Should be your slogan. IncSmart was right... this was fast. I had my new company in days. The LLC articles were emailed to me. IncSmart also has an operating agreement. They are a one stop shop. Highly recommended. This was fast. IncSmart said two days, and I had my new LLC filed and documents in hand in two days. Everything was done by online. I place the order on the IncSmart web page and received a confirmation including the Registered Agent information. I received all my llc documentation by email. The best thing about the IncSmart web page is the member log in. 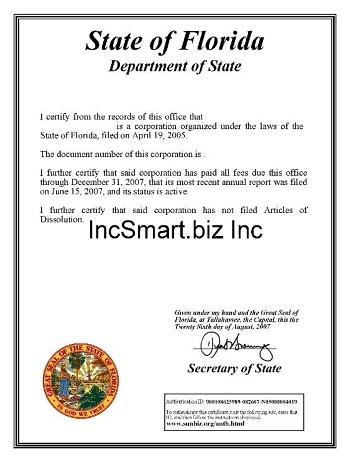 We just received our Florida articles for a new LLC from IncSmart. The filing process only took a few days. We used the Incsmart registered agent service and the filing went smooth and without a hitch. Incsmart answered all of our questions by email. We never waited. Florida is a great place for a LLC. There are no state taxes. IncSmart filed our documents we had our articles in our email in two days. We had our Florida LLC documents back in days. We had used one of your competitors before, and they were not even close to the speed of fling that IncSmart provides. I almost believe that they held on to our payment for a week before filing. I will tell all of my friends about this company. Sigh…. Thank you, David. Whew. What a day it has been. You have no idea how much I appreciate all you have done for me in the past few days trying to get all of this squared away. I finally feel like there is a light at the end of the tunnel. Now to move on! IncSmart was very helpful. They answered all of our questions, and there were many. The fees are very competitive and lower than most of the other sites I visited. I usually don't write to thank others for a job well done, but I had to leave this review. Your team was wonderful and professional all through the process of creating our LLC. We thank you so much for your patience. THANKS AGAIN!!!! Incsmart has done a great job. All paperwork was filed just as promised. Thanks so much. Q: It looks like there are 3 levels of service, what is the difference between; standard, basic, and executive? A: There are two Packages. The Discount and the Executive. The difference between the two is the Legal Binder. Q: Hello Does LLC filing price include state fee? Cannot find description what means standard service. Thanks. 5 One Year Registered Agent Service, 6 Receipt of Official Notices, 7 IncSmart Web Account Access. 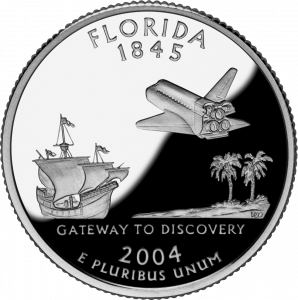 Q: When are the Florida annual reports due? A: Florida annual reports are due before May 1. Q: How long will it take for me to get my Florida Limited Liability formed? A: Florida takes about two (2) days to file new companies with the state. A: The packages do not include filings with the IRS. After you receive your documents from the Corporation Division, you can order your ITIN from the IRS. The ITIN is a Tax ID for Foreign Nationals. We can take your Florida LLC order via the internet. We do not provide banking services. Q: Does a Florida LLC have to file state taxes? A: Florida does not have state taxes. The Florida LLC does have to file an annual report to the state though. IncSmart Florida Registered Agent will alert you in a timely manner about all documents and service of process received as your registered agent. The state of Florida requires Florida LLCs and Florida Corporations registered in the state to conduct business, have Florida Registered Agent service. The Florida Registered Agent you appoint for your company, will receive legal service and government notices on your behalf. The Articles of Incorporation or Organization for both domestic and foreign entities, ask for the address of the registered office to receive service of process. The Service of Process is a notice of a summons or a lawsuit. Now you too can have an Florida attorney on retainer.